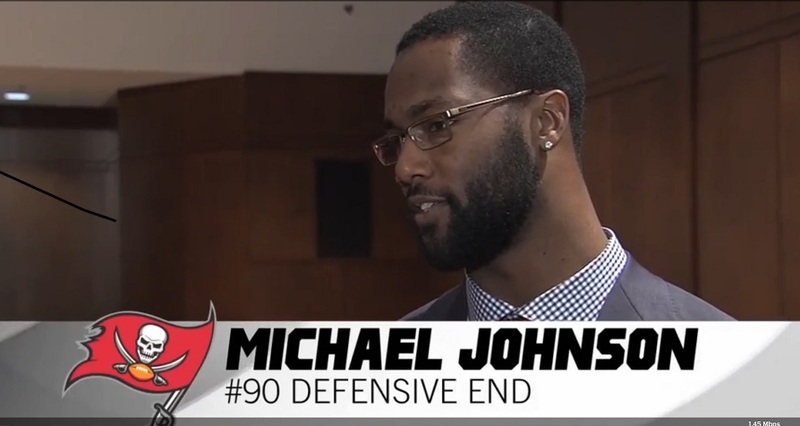 MJ93 Fund announces that the Tampa Bay Buccaneers and free-agent defensive end Michael Johnson agreed to a five-year deal worth $43.75 million. 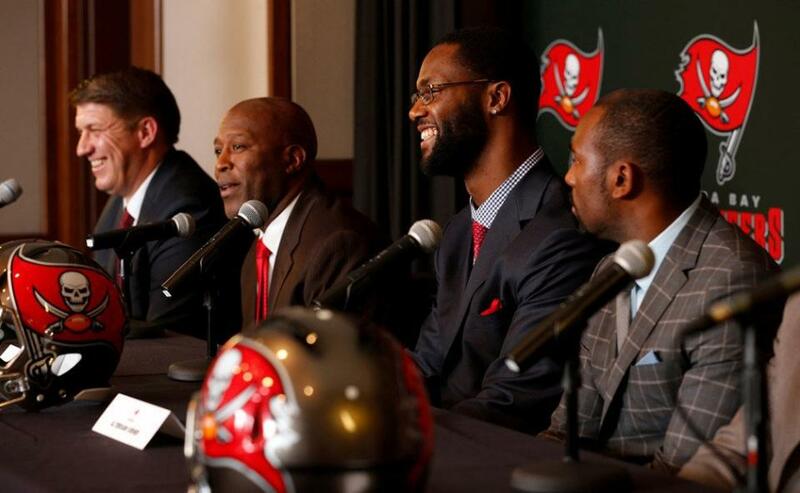 The proud Selma, Alabama native participated in an official press conference where all the team's newly signed free agents were introduced to the sunny city of Tampa. Buccaneers.com Senior Writer Scott Smith describes the impressive DE as "One of the most coveted players on the market at any position," Smith adds, " He agreed to a five-year contract with the Buccaneers, marking the first time Tampa Bay has dipped into the free agency market to find a pass-rusher since 2008." According to the always humble Johnson who will now sport jersey #90, "I'm excited to be part of an organization that already has so many great pieces in place. I consider it a blessing and a great opportunity to build with these guys down here." In 2009, Johnson was a third-round selection out of Georgia Tech where he signed a four-year deal with the Cincinnati Bengals. He played with them from 2009 to 2013 where he assisted in reinforcing the team’s defensive lines. In his fifth year in the league, the former Bengal led the defensive line and ranked third on the team with 74 tackles, 3.5 sacks, two forced fumbles and an interception. He tied for the lead among Defensive Lineman with 10 passes defended making second the time with 61 QB pressures. 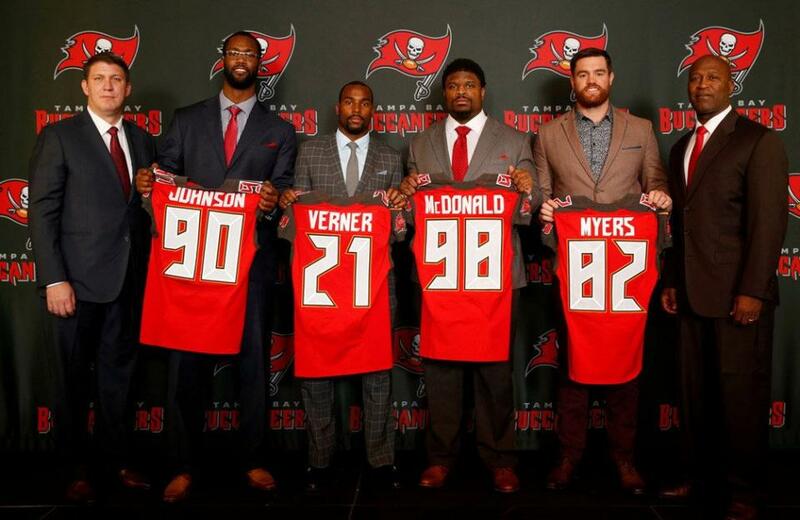 The addition of Johnson to the Tampa line up immediately upgrades the Bucs' pass rush. 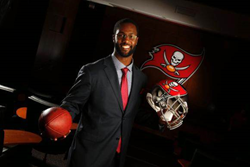 Before he hits the Tampa Bay gridiron, the new Buccaneer will return to the field in his hometown at Memorial Stadium to host his 5th Annual Michael Johnson Youth Football and Cheer Camp on Saturday, April 26. The camp hosts over 300 kids ages 8 to 17. Michael and his NFL buddies, including Super Bowl champion and [as of Wednesday, March 12th] teammate Clinton McDonald, teach basic football fundamentals to the boys. Focusing on cheer, dance and twirling, this year's girls cheer camp will be joined by former Alabama A&M cheerleader and fellow Selma native Coleysia Chestnut. The star of MTV's new reality series "Are You the One?" will assist camp coaches in making the event memorable for all participants. Past camps have garnered support from local and national businesses and MJ’s league mates from around the country. To kick off the weekend, the gentle giant will present the MJ93 Fun Fest with the NFL on Friday, April 25th from 4 p.m. to 9 p.m, also being held at Memorial Stadium. Area families will enjoy food, fun, games music as well as a celebrity and pro-athlete meet and greet. Registration deadline is April 24, 2014. For more Fun Fest information or to sign up for the camp, visit MJ93.org. Registration forms are also available at the Lily Pad, YMCA, Calhoun Foods, and area schools. For sponsorship, celebrity participation and press inquiries, please contact Michael Johnson's official PR Rep, Publicist Trea Davenport, Trea Day PR at (678) 327-8281 or by email at treadaypr (at) gmail.com. Trea Day Management & Publicity, Inc.